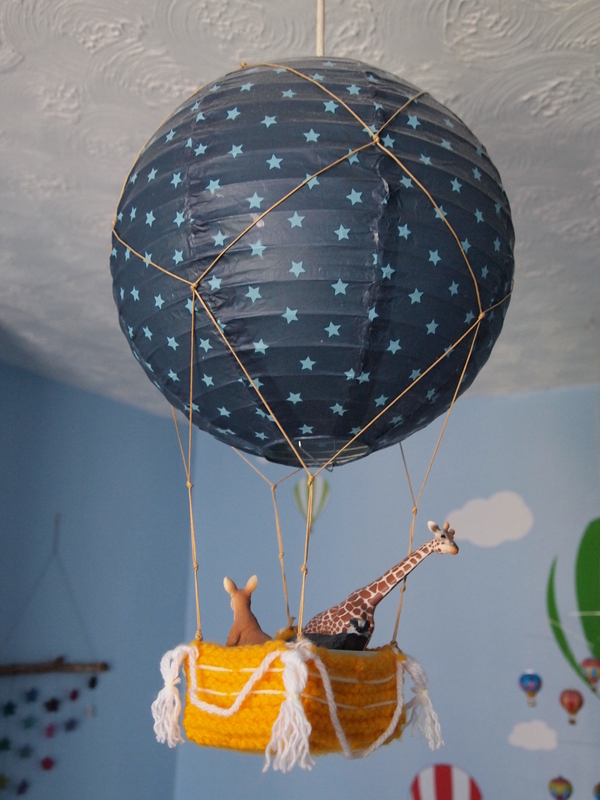 I decided to make a hot air balloon lampshade to fit the theme for my son’s bedroom, it was very easy – involving some knitting and sewing. Sew together from top corners of basket and along the bottom to make square basket shape. I inserted a slightly smaller same shaped piece of thin card inside, to make the basket more rigid and square. 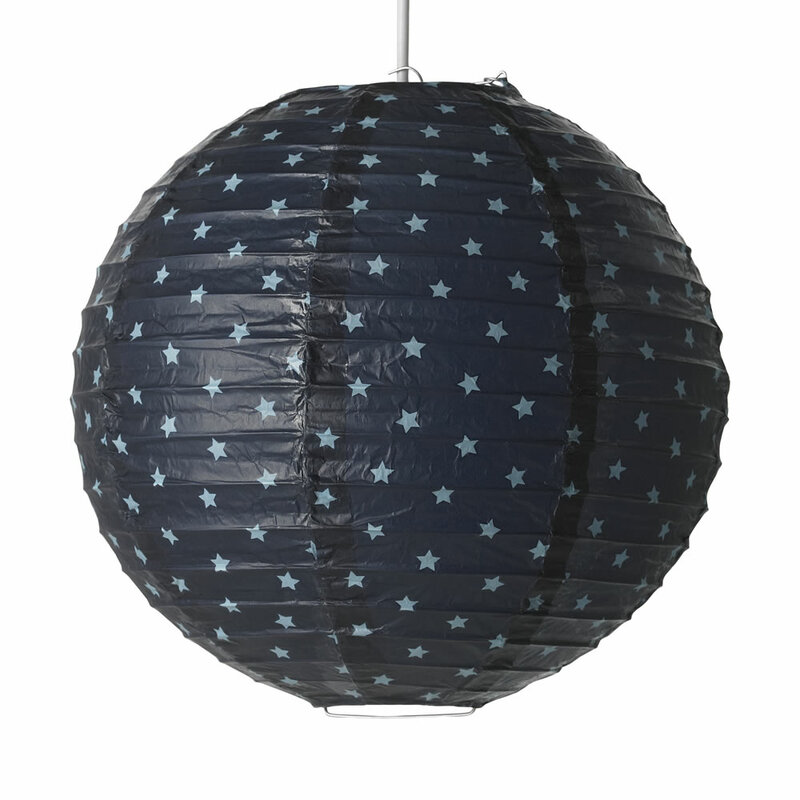 At each corner tie a length of waxed cotton to attach to the lampshade, to make your hot air balloon. I also decorated my basket with extra wool and put in some animal passengers! 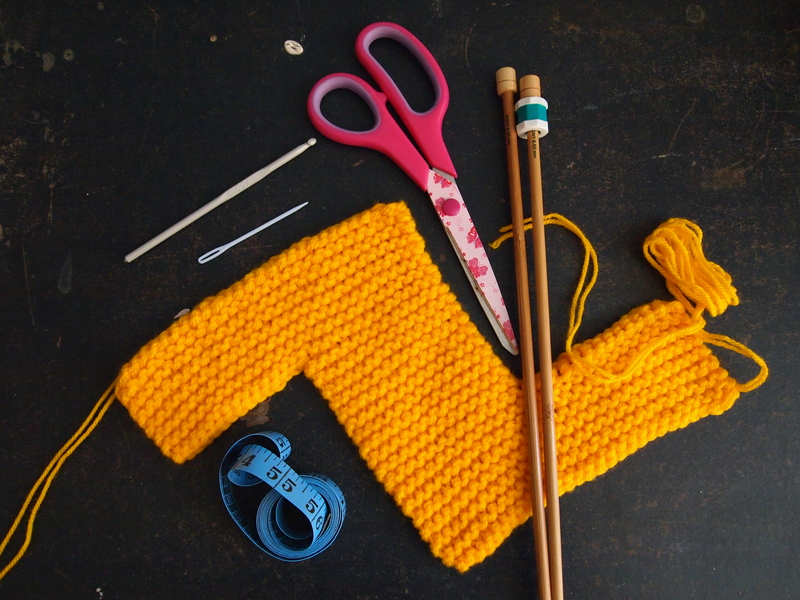 Gallery | This entry was posted in Design / Arts / Crafts and tagged Balloon, craft, Crafts, Hot Air Balloon, Hot Air Balloon Lampshade, Knit, Knitting, Lampshade, Make, Wool, Yarn. Bookmark the permalink.